This method of installing TWRP Recovery will also work on any Xiaomi Device. By Any Device I mean the Newer Xiaomi device that comes with a locked bootloader. You just have to replace the TWRP Recovery Image file with your device Recovery image file but I am using my Redmi Note 3 in this article to show you guys the tutorial. And as I said locked bootloader that means that you have to first unlock your device bootloader to install Twrp on your device. 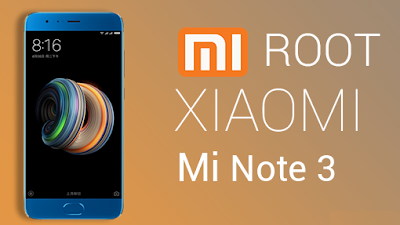 So How to Unlock Bootloader of Xiaomi Redmi Note 3 watch this tutorial. So, now after you have unlocked your phone bootloader let me tell you that how you can install the TWRP Recovery and root your Xiaomi device. So first Download the two files Adb.zip and then extract it and TWRP Recovery for your device. Then move the Recovery file to the ADB folder and make sure that you have installed the ADB drivers for your Android phone. Now download the two files which is lazyflasher.zip and supersu.zip into your micro SD card and after that connect your device to PC through USB cable. First type "adb devices" and enter to check that your device is detected. Then type "adb reboot bootloader" to reboot your phone in fastboot mode. You can boot your phone manually in fastboot mode by switching off your device then press & hold the volume down and power button at the same time. Then type "fastboot flash recovery" and the name of the TWRP image. Now type the name of your TWRP image file after that press enter key to start the flashing process. Done! You have successfully completed the flashing process of TWRP recovery. And then you can remove the USB cable and go into recovery mode by pressing power + volume down button simultaneously. Then you will get this kind of a screen a headline with “Enter Password” just click cancel button. And if you get this kind of a screen a headline with “Keep System Read Only?” then just "Swipe to Allow Modifications". Now you cannot see your device’s internal storage if you try then also you can’t because your device will then be encrypted. So to fix this you have to go to wipe and format the data of your device. This will erase everything on your phone not your micro SD card or for safety you can remove the SD card. And in most of the time users are getting this error if they are using a device with MIUI 8 android Marshmallow. Now you can see phone’s internal storage but now need to flash the Super SU zip & the lazy flasher zip file that you have stored on micro SD card before. So go to install and select the storage in which the files are saved and then install both of them. After that simply install the two files that is lazyflasher.zip and supersu.zip. Now wipe your cache and reboot. Don’t worries at first boot it’s a bit slow can take up to maximum of 7 mins. Now the Super SU app will be installed on my phone. And you are done for confirmation you can check with the root checker. So now you got a rooted phone Hurray!